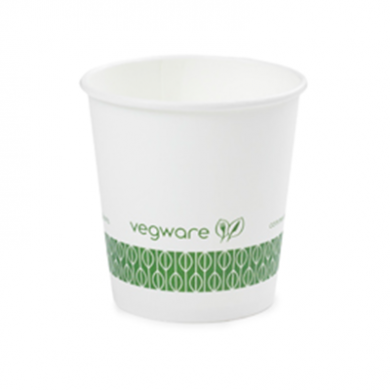 With this 4oz white single wall espresso cup you can stop using disposable cups which are lined with toxic plastic and use this biodegradable ecological alternative. It will have your customers loving you for caring about the world. Hot-drink cups are lined with corn starch, not plastic which means they completely decompose in 6-12 weeks and do not leave any toxic residues in your customers hot drinks! Note: Sorry there are no lids available for this cup.